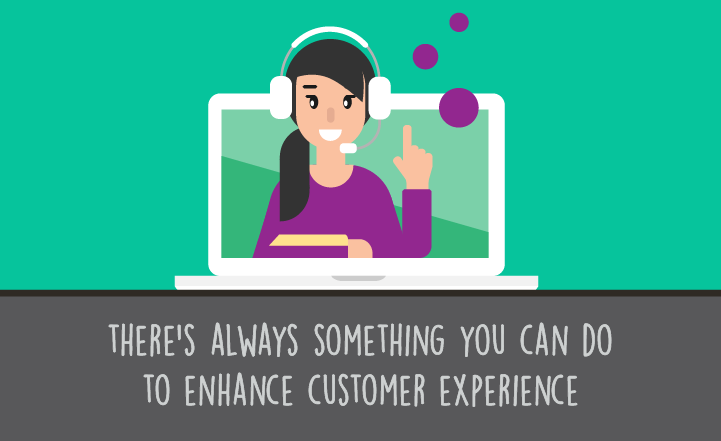 People are the heart of a call center. While it may seem that robots are taking over the world, it is important to realize that the technology is meant to make humans better at their jobs - or at least more their work more efficient and easier. This is the case with automated call center quality assurance. 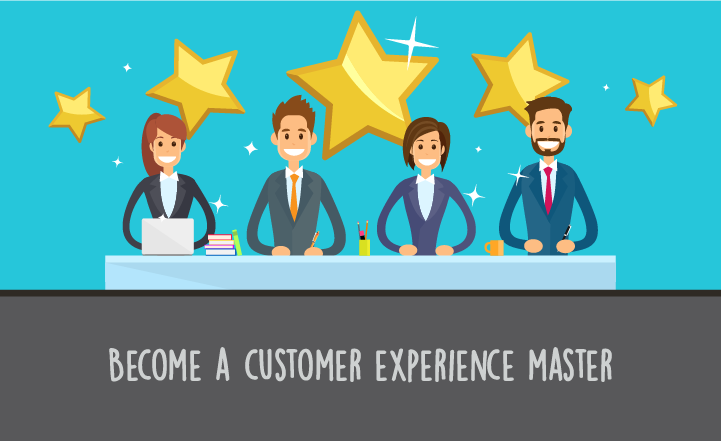 Automation is not meant to replace your QA team but to assist them and make the customer experience better. Unless you had a very small ratio of QA manager to call center agents, there is no way to monitor 100% of the calls. 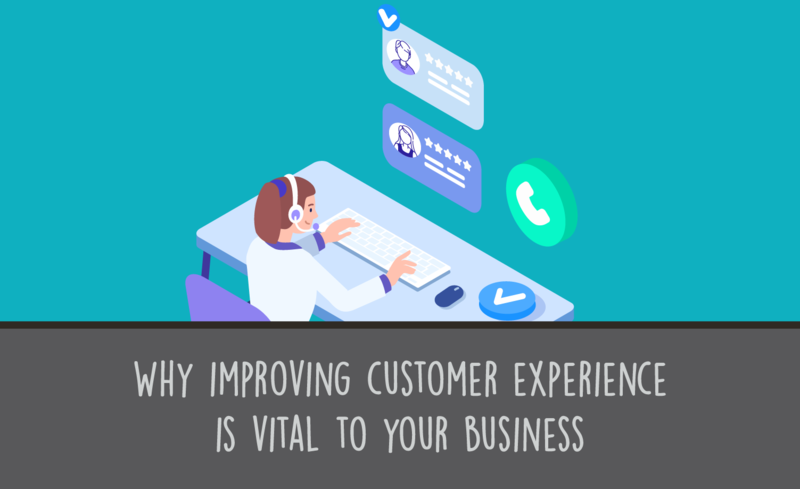 At the same time, a negative experience with a call center can cause significant business losses. 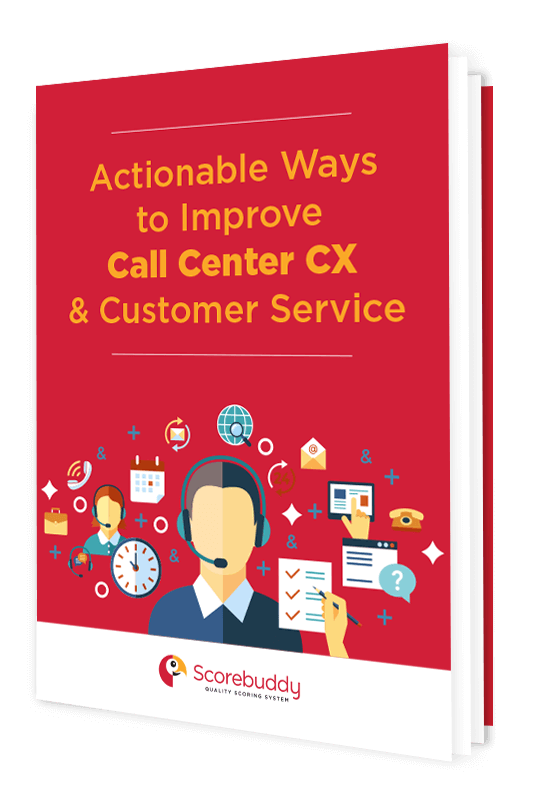 It is estimated that 65 percent of people who have unsatisfactory experiences with a call center will share their frustration with others. Automated call center quality assurance, on the other hand, can scan 100% of the calls. When you input your triggers, it can alert the QA teams about problem calls so that individual issues can be addressed and systematic training can target frequent problems. The software can also compile a wide range of statistical data so that your QA and contact center training teams can improve overall call quality. Automation technology should be implemented with support from your QA personnel. You need to address their fears that the software will replace them. Their input is also helpful in determining what triggers will best identify and alert common problems in the call center. 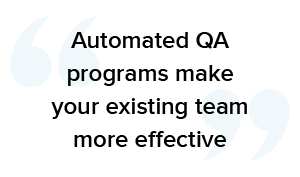 Automated QA programs make your existing team more effective because the software collects the data and allows your staff more free time for analytics and deep-diving for the specific issues the call center is facing. Traditionally, quality assurance representatives would spot check a handful of the hundreds or thousands of calls made from to-and-from the call center every day. While random sampling can have its place, it does not adequately identify problematic calls every time. It is also hard to compile metadata when QA personnel are looking at calls at an individual call-by-call basis. Employing automated call center quality assurance along with human oversight means that every call is monitored, and that the call which require more attention are routed to the QA team for investigation and follow up. The technology flags certain calls for the QA staff to review based on specified criteria. For instance, software can alert you if an agent uses inappropriate language on a call, failed to authenticate or verify the caller on a field required by compliance or regulation, or if other required processes are not met. Automated call center quality assurance can also help you compile statistics on individual agent’s productivity and the effectiveness of the entire center. For instance, the software can identify whether each staff member is meeting metrics like first call resolution, average length of wait time before talking to an agent, and more. While technology is a useful tool, it cannot replace the QA staff: some of the calls the software flags might be fine or it can mis-label an issue that was actually resolved in a different way than the system was able to recognize. Automated call center quality assurance programs can help the QA teams decide which calls to review, but it is up to people to make the final determination about the success or failure of an individual call. 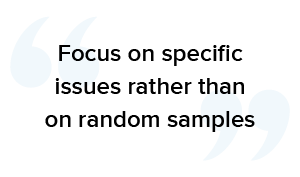 With the right software, your QA teams can focus on specific issues rather than on random samples. This can provide significant time savings if your quality assurance program focuses on just a handful of metrics. On the other hand, if you are looking for a wide range of issues, analytics can help you find more ways to improve call quality. Automation software can perform a number of types of analysis. For instance, speech analytics can break down calls by specific words used. This can help you if you screen for the types of words that are non-compliant with policy. It can also help you identify which types of words feature most heavily in successful calls and refine your training to help agents implement similar language so that they improve. In heavily regulated industries, speech analytics can help ensure regulatory compliance. Predictive voice analytics, on the other hand, looks not at words but at the agent’s pitch and tone. This software looks at each agent in comparison to the group and looks to predictive models in order to ensure objectivity. You may be able to identify what voice features lead to successful or unsuccessful calls and try to incorporate them into your call center training programs. Quality assurance staff rely heavily on having the right data to work with. Traditional QA processes require personnel to spend significant time listening to calls just to gather the data - before there is any ‘dissection’ or analysis of the data itself. With automated software, QA managers, compliance managers, and other stakeholders can spend more time looking at analysis reports and developing best practice policies based on the data. Call centers should implement automated QA technology to improve call quality and call center success metrics. Just as call center use automatic dialers instead of forcing their outgoing call agents to dial each number by hand, forward looking call centers will use automated call center quality assurance to allow QA teams to do their jobs better and more efficiently.